Google has announced that Android apps and Google Play Store is coming to Chromebooks. 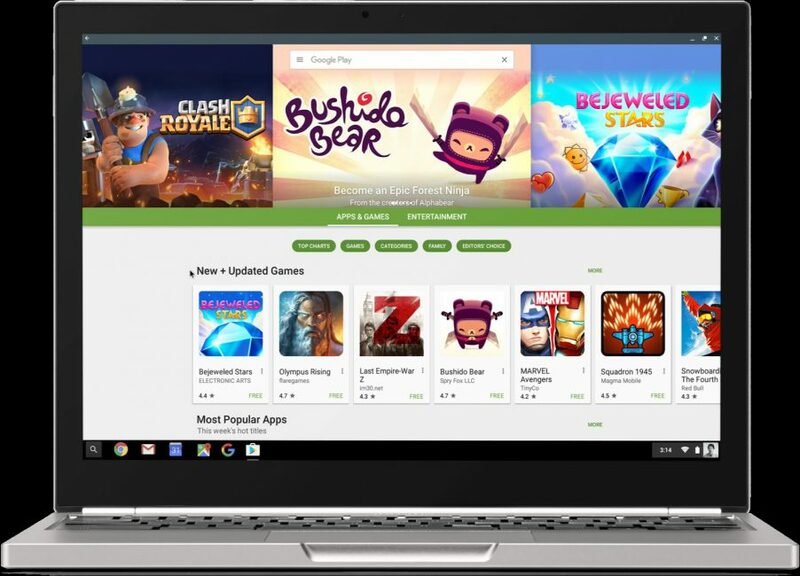 The Google Play Store beta for Chromebooks will begin rolling out to ASUS Chromebook Flip, the Acer Chromebook R 11 and the Chromebook Pixel (2015) with M53. Later, Google will add more models in the support list. So, we’re bringing Google Play store (the most popular app store in the world) to Chromebooks. This means you’ll be able to download and use Android apps, so you can make a Skype call, work with Office files and be productive offline or take a break with games like Minecraft, Hearthstone or Clash of Clans. The same apps that run on phones and tablets can now run on Chromebooks without compromising their speed, simplicity or security. This is good for users and great for developers – in addition to phones and tablets, they will be able to easily bring their apps to laptops. And all this is built on top of Chrome OS, so users will continue to have everything they love in their Chromebooks.